Ethiopia’s capital is set to cement its place as Africa’s leading aviation hub with an expanded airport terminal which triples it passenger capacity. Last year, Addis Ababa overtook Dubai as the leading transfer hub for long-haul travel to sub-Saharan Africa. 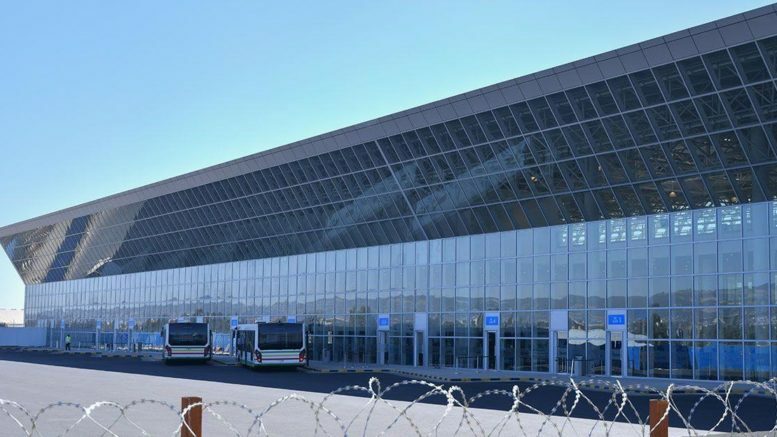 On Sunday (Jan. 27), prime minister Abiy Ahmed inaugurated the newly-expanded terminal of the Bole International Airport, the main hub of Ethiopian Airlines in Addis Ababa. The project, which was funded and built by China for $363 million, triple the airport’s size and can now accommodate up to 22 million passengers annually from its current 7 million. The terminal and a new luxury hotel are a great boost for the state carrier, Ethiopian Airlines, which is currently implementing a 15-year strategic plan aimed at becoming Africa’s leading airline group. Founded 74 years ago, the airline has an operating fleet of 111 planes and currently flies to more than 119 international passenger and cargo destinations, with over 61 of those in Africa alone. Ethiopian Airlines has also strategically invested across Africa, making deals to revive defunct airlines, setting up hubs in countries including Togo, and partnering with airlines in Malawi, Chad, and Mozambique. As the Horn of Africa nation relaxes its visa regime, the carrier also developed schemes to help both African and global travelers process their visas faster and explore the country’s tourism sector.